A keloid is a harmless growth of fibrous tissue at the site of a healing scar caused by overproduction of collagen. Keloids are most common on the breastbone, upper back, and shoulder but can occur anywhere on the body. Some people, especially those with dark skin, are more prone to developing keloids. Colour that varies from slightly pink to very dark. Continued growth and claw like projections. Doctors do not understand exactly why keloids form in certain people or situations and not in others. Changes in the cellular signals that control growth and proliferation may be related to the process of keloid formation, but these changes have not yet been characterized scientifically. Keloids are less common in children and the elderly. Although people with darker skin are more likely to develop them, keloids can occur in men and women of all skin types. In some cases, the tendency to form keloids seems to run in families. Keloids develop most often on the chest, back, shoulders, and earlobes. They rarely develop on the face (with the exception of the jawline). 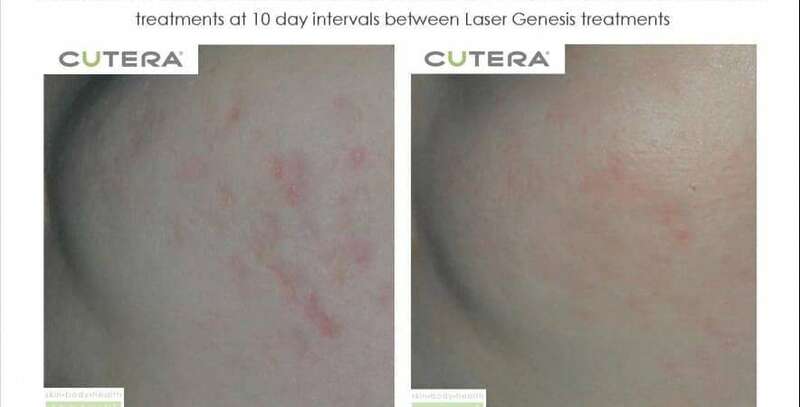 Keloids are treated with monthly intralesional corticosteroids as well as weekly Laser Genesis treatments with the NdYag laser to reduce the redness. 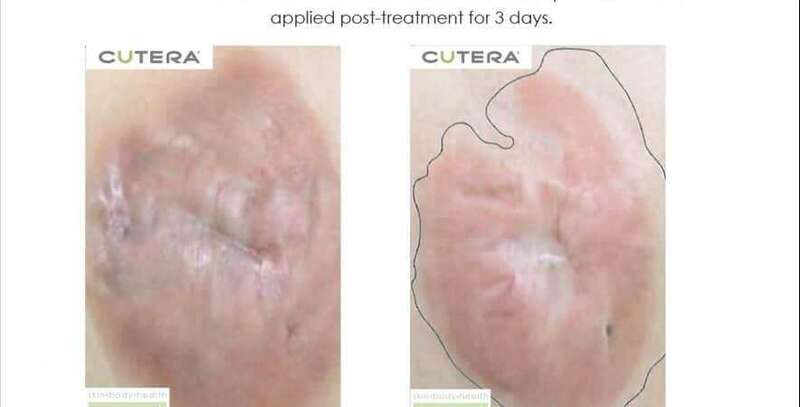 A series of 6 to 8 treatments are needed for best results. Botox intralesionally is experimental. 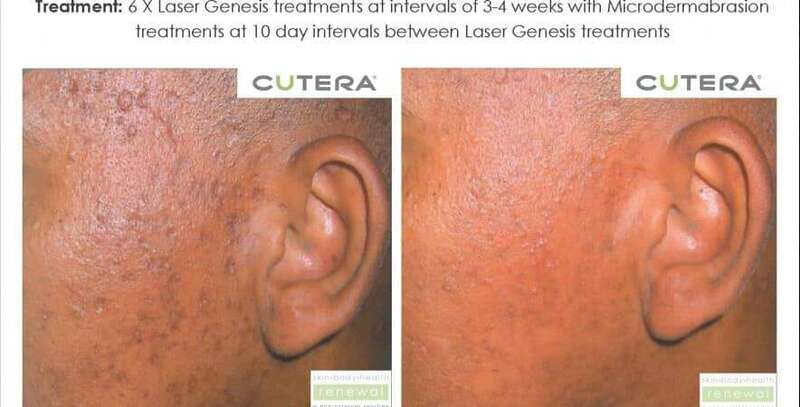 At Skin Renewal we have has success with Botox combined with intralesional steroids and Laser Genesis treatments. Great first time visit, Dr gabe me many options to help with my keloids. Feeling hopeful. After trying everything and everywhere to treat my Keloids, the Brooklyn Skin Renewal has lived up to my expectations. The staff are super friendly and helpful, informing you if every step and methods being carried out. I have seen a great reduction in side of my keliods since I started treatment, this after I lost hope in ever having something done about them. Everything is professionally, and I felt I am in good hands.